Janice discovered yoga nearly 15 years ago and wishes she had found it sooner! She originally qualified as a teacher with the Sivananda Yoga organisation in 2010 and has been teaching in studios, complementary health centres and private settings since. The Sivananda Teacher Training programme is based on the traditional Indian Gurukula system of teaching, where the student both lives and studies with their teachers. As well as training in all aspects of Yoga, students are immersed in and commit themselves to a yogic lifestyle. During her training, Janice studied with some of the senior teachers in the organisation. As a complement to this very experiential training, Janice qualified as a Yoga Therapist in 2014. She is now a superviser for students taking the Minded Yoga Therapy 500-hour training course. Janice is a regular teacher of the Yoga for the Mind 8-week course as well as offering one-to-one yoga therapy. 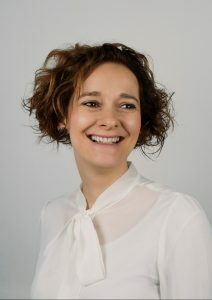 She is particularly interested in how Yoga can be used to combat stress in the workplace, having developed a 6-week programme, based on Minded Yoga principles that can be taken into corporate settings.